Searching for top providers and firms can be a daunting undertaking for a consumer, especially if that consumer is unfamiliar with the landscape. AdvisoryHQ is committed to simplifying the research that consumers conduct before choosing a top provider. Our review articles are always 100% independently researched and written. For information on AdvisoryHQ’s objectivity approach, click here: AdvisoryHQ’s Objective Process. Who and What is The Retirement Planning Group? The Retirement Planning Group (TRPG) was founded on the belief that retirement planning should transparent, family-oriented, and open—three principles that the co-founders felt were lacking while working within major stock brokerage firms. Created in 2004, TRPG has assisted numerous families, individuals, working professionals, and retiring couples achieve a happy and successful retirement. Although located in the Midwest, TRPG has clients located across the country, stretching their client base from California to New York. As an independent advisory firm, their dedication is firmly grounded in providing unbiased, client-centric advice—a focus that is reflected in everything that they do, from their personalized process to a dedicated client services team. This dedication to clients certainly seems to be paying off. As of June 2017, The Retirement Planning Group has a grand total of $620 million in assets under management, making them a competitive force in the financial advisory industry. Let’s take a look at each one of these and see how The Retirement Planning Group approaches each of their financial services. The Client Experience describes an in-depth “getting to know you process,” called the Retirement Reality Check. New clients sit down with specialized financial planners to discuss when they can retire and how much they will need to actually enjoy it. What truly stands out about the client experience is that the process is thorough, personalized, and highly beneficial. Ultimately, this goes a long way in supporting the firm’s over-arching theme of keeping a culture of equally beneficial, personable, and accessible financial planning. Clients and their advisors sit down and discuss individual goals, needs, priorities, and desires for their future. TRPG advisors will take a look at specific numbers—your current finances and your retirement finances—and draw a map between the two. This results in a comprehensive plan to manage your retirement savings, allowing you to choose different scenarios and methods of receiving income while retired. In this stage, your TRPG financial planner will use enhanced wealth management software to ensure that your plan is both realistic and attainable. Finally, for those of us who might benefit from a little less clutter from paperwork, The Retirement Planning Group transfers all paper copies of your financial documents into an encrypted, electronic format. The Retirement Planning Group recognizes that financial planning is a stressful topic—and rightly so, since it inherently requires an honest, detailed look at your long-term goals, needs, priorities, and even health. With advisement across a variety of financial topics, clients can rest assured that The Retirement Planning Group is prepared to tackle any financial challenge that comes their way. Learning how to manage a budget, assets, investments, etc. Arguably, the Foundations program is one of the most valuable services that TRPG provides, as it encourages younger families and young professionals to start planning for their retirement as early as possible. What really stands out about the Foundations program is TRPG’s commitment to creating a thorough education program. Clients can learn how to address areas such as cash flow and budgeting, debt and risk management, tax efficiency, college planning, investment strategies, and company benefits. Part of what makes The Retirement Planning Group successful is their ability to combine the resources of a large firm with the personalized, boutique approach of a small firm. This provides huge benefits for both clients and the firm itself. Rather than handing each advisor hundreds of clients, they are instead given a limited number of portfolios to manage. By limiting the number of clients each advisor can take on, clients receive the personalized, dedicated service that they expect and deserve. Clients and advisors both have the opportunity to create long-lasting relationships, and it becomes much easier to create a comprehensive, personalized financial plan. Investing time in the dynamic between client and advisor helps keep everything running smoothly, stress levels low, and creates a more meaningful working relationship for both parties. As an additional benefit, advisors are better able to focus on fulfilling their clients’ needs, as they are neither overworked nor overstressed. The Retirement Planning Group keeps an unparalleled dedication to facilitating an open and personable company culture. Because financial matters are often stressful and intimidating, their goal is to break down those barriers and make each client feel like they are part of a family—one which truly cares about their financial goals and needs. To put these goals in action, TRPG incorporates their company culture into everything that they do. 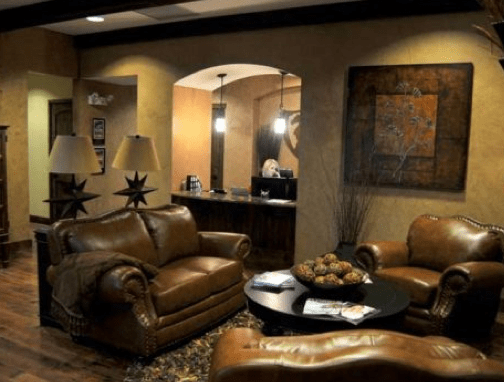 Even their offices are designed to evoke a family-office feel, making clients feel welcome as soon as they walk through the doors. Each financial service they offer is specifically formatted to promote and sustain personal relationships between advisors and their clients, ensuring an effective, long-term retirement planning process. Additionally, TRPG holds corporate and community events throughout the year, creating a reputation of openness and approachability. When it comes to managing personal finances, finding a firm with an open, friendly attitude can make all the difference—and TRPG is a firm that truly cares about creating a comfortable, welcoming atmosphere for both clients and advisors. TRPG may be a relatively young firm, but they are anything but inexperienced when it comes to financial planning and management. Headed by Ryan Costello and Shane Bengtson, the team has a combined experience of over 147 years, with each advisor carrying at least 10 years of experience. Additionally, every member of the Retirement Planning Group is a Certified Financial Planner, ensuring that each financial plan is backed by professional expertise and the most current methods. TRPG provides detailed bios for each advisor, making it possible to create a personal connection before you even walk through the door. This highly individualized content not only clarifies their commitment to professional excellence, but also to creating personal connections with clients long before they walk through the door. Each member of the team gets a brief video to talk about their passions, both personal and professional. It’s a simple, yet effective way for clients to get a comprehensive feel for the firm—and it’s a method that is drastically underestimated by competing firms. Prospective clients can easily spend a few minutes reading through the bios and watching short video clips to gain a better understanding about the firm’s values, culture, expertise, and the unique personalities of each advisor. As a Registered Investment Advisory firm, TRPG acts as a fiduciary for each client. This means that their advisors receive no commissions or back-door payments, ensuring that clients receive unbiased advice at every turn. Along with disclosing risks and conflicts of interest, part of being an R.I.A. means eliminating hidden fees. Clients will not only benefit from a transparent fee structure at TRPG, but also from a substantially low-cost portfolio arrangement. On average, internal portfolios held with The Retirement Planning Group have a cost of 0.25%. With national averages hitting 1% and higher, clients that invest with TRPG stand to save a significant amount of money in management fees. While not necessarily part of The Retirement Planning Group, it’s worth mentioning that co-founders Chris Costello and Kevin Conard have provided substantial contributions and innovations to the financial management industry. Named one of the most innovative companies in the world by Fast Company in 2015, robo-advisor program blooom is the first digital advisor to charge one flat fee for all accounts, regardless of balance. Users are charged a low rate of $10 a month for management of their 401k, which includes unlimited financial advice from digital advisors. 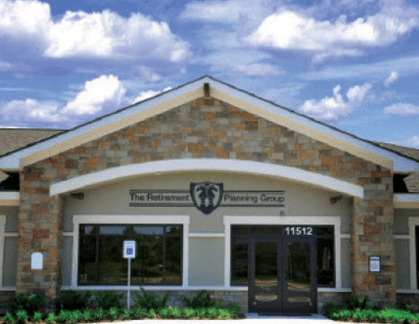 It’s somewhat surprising that The Retirement Planning Group provides no fanfare on the success of their co-founders Chris Costello and Kevin Conard, though it’s true that blooom and TRPG provide drastically different services. For those who prefer personable, face-to-face advisement and interaction, The Retirement Planning Group is an ideal fit. For those who would rather manage their investments electronically, blooom is quickly rising as an innovative solution. Even though blooom is not directly associated with TRPG, the creativity and success of the firm’s founders speaks to a stable foundation of financial knowledge, precision, and innovation which helped to form The Retirement Planning Group. With an expert team, low-cost portfolios, and a firm dedication to providing high levels of client satisfaction, the future continues to be bright for The Retirement Planning Group. Their relationship-driven company culture is a strong thread in everything that The Retirement Planning Group does, generating stability and ensuring continued success within the financial advisory industry. As acknowledgement of their success, TRPG has gained positive accolades from media outlets like The Kansas City Star, Financial Advisor, Ingram’s, Forbes, and The Kansas City Business Journal (though, regrettably, direct links to these articles are unavailable). Even so, as TRPG continues to value client care, transparency, and excellency in financial advisory services, there is no doubt that this firm will continue to provide exceptional services for their clients over the long-term.